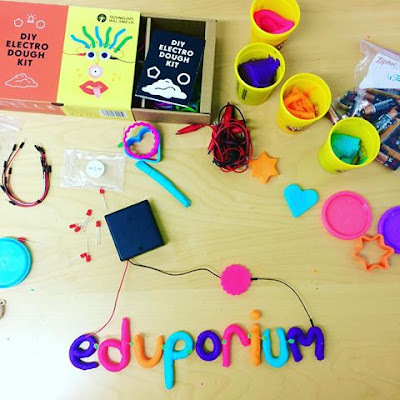 I'm excited to be reviewing Eduporium, an online platform that helps connect kids, schools, homeschool and makerspaces to educational technology. Not only am I sharing all of Eduporium's services and resources with you, but Eduporium has also been very generous in providing a fun DIY Electro Dough kit, and a $50 shop credit for us to give away to a reader. Additionally, Eduporium is offering Share it! 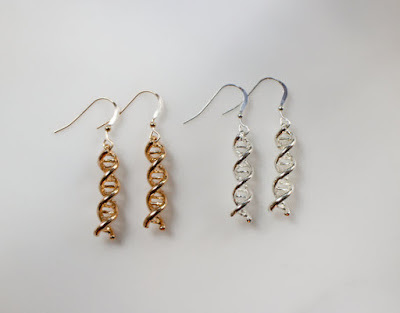 Science readers an exclusive discount code. You'll find details about each at the end of this post. 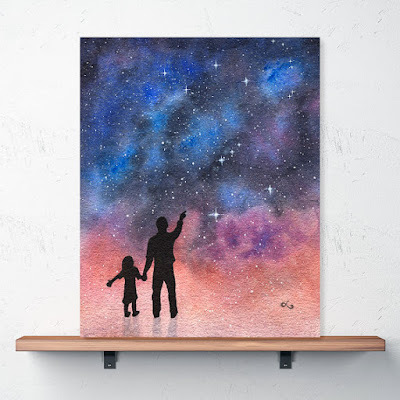 The Eduporium vision resonates with me in that they strive to provide experiences for children that will help them build skills, hone their imagination and creativity, and allow them to become real world problem-solvers. Another fabulous goal of Eduporium is to make ed tech accessible to schools and other organizations through education, program support, profit-sharing programs and educational discounts. 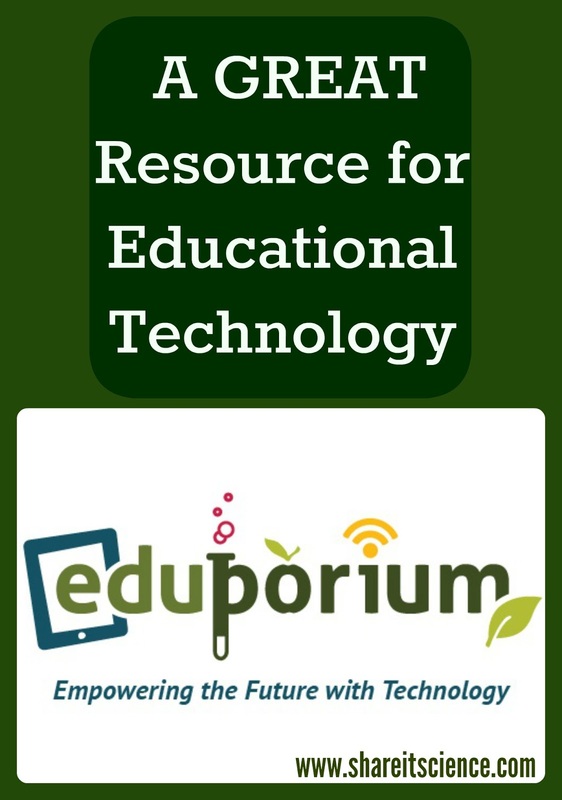 Eduporium offers a bright and engaging web page for students, parents, teachers and school administrators. Exploring their offerings you'll find cool tech, projects, a map of skills, activities and resources. For teachers and school administrators there is the Tech Lending Library, workshops, teacher collaboration sites, options for making ed tech affordable, and more. The "cool tech" section is a great resource for learning more about a specific type of technology, i.e. Arduino or circuit stickers, and gives you an introduction about the tech, how to get started with it, the ways it can be used in education and some project ideas. In some cases, there are links to state education standards that might be met by using the technology or completing a project. I was impressed with the project and activity sections. 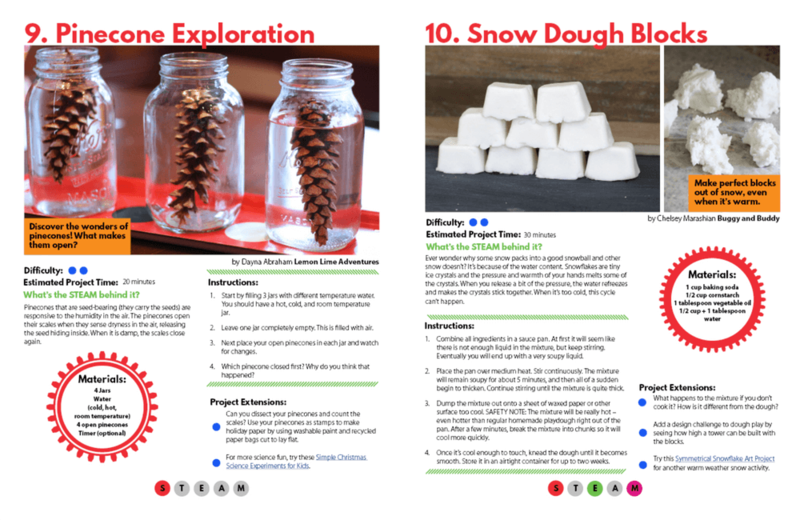 In "Projects" you'll find tons of fun project ideas that include a full supply list and helpful thoughts on how to put the project to use in a classroom. Projects include things like a DIY digital camera and DIY portable boombox. The "Activity" section has plenty of activity ideas that use technology available on Eduporium. These also include a full parts list so it is easy to get started and classroom resources. I think some of the most useful sections as far as developing our student's real-world skills are the "Map of Skills" and "Resources" sections of the site. Both are works in progress, but there is a lot of potential and I look forward to see where each will go. "Map of Skills" features interviews with real-world professionals highlighting the skills needed for that career, how technology plays a role and other useful life-shaping information. 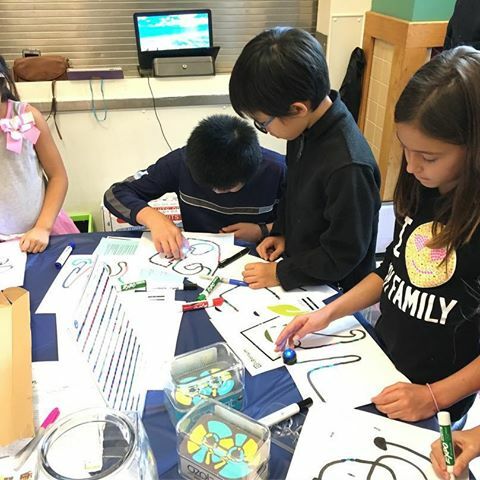 "Resource"s includes "Wise Up Wednesday" workshops meant to teach about different technology that Eduporium has to offer schools and makerspaces. The offerings for teachers and schools are unique. 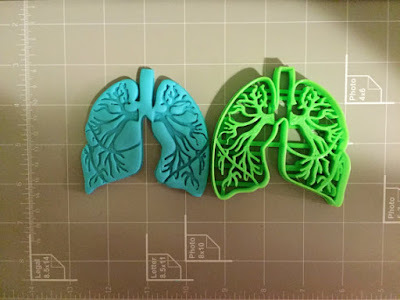 I'm excited to share these resources with colleagues in the field because I think they truly will help bring technology to their classrooms or makerspaces. The "Tech Lending Library" is a cool program where teachers can borrow items for a small rental fee, that can then be used towards purchase if they choose to do so. 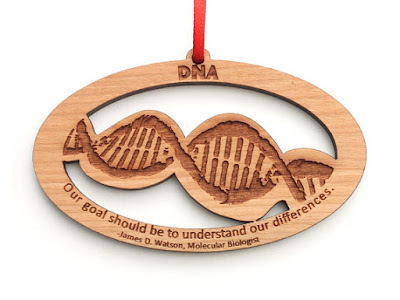 This is a fabulous idea, since you never really know if something will work in your particular teaching setting until you've tried it out. Since obtaining an entire classroom set of ed tech products can be very pricey, this takes out the guesswork and allows schools to pilot a product and see if it makes sense for them to purchase. By far one of the most important services Eduporium provides is tech affordability. One of Eduporium's goals is to make technology accessible for all students. There are several ways they are working to make this possible: profit-sharing, academic discounts, grants and young inventor discounts. 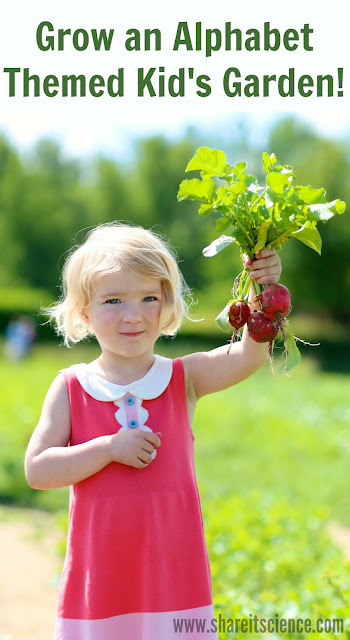 Schools can become a part of the profit sharing program. This allows schools to collect a portion of the profits generated from purchases made on Eduporium by their community members (families, faculty, etc). Academic discounts are available for those who qualify. A brief questionnaire makes it easy to find out whether or not you can take advantage of educational pricing, sometimes up to 85% off in order to make technology accessible to all classrooms. These discounts were put into place by some of the major technology companies, but few people know about them, so the funds go unused. This is your chance to take advantage of these programs for your classroom! 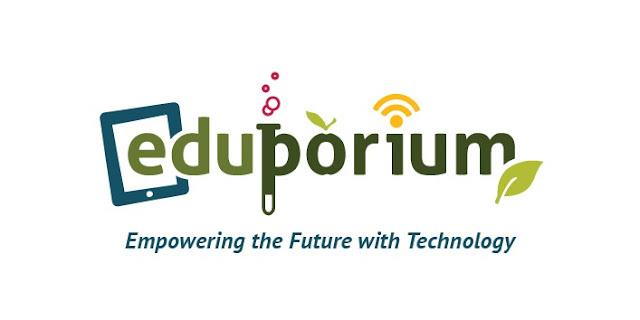 Eduporium awards an educational technology grant of $250 each month to fund proposed projects. You can submit a proposal for a project on the website. Discounts are also available for "young inventors". Kids can write to Eduporium about how they want to change the world, and they just might get the help they need to do so. To help implement technology into schools, Eduporium teaches workshops and provides opportunities for teacher collaboration. 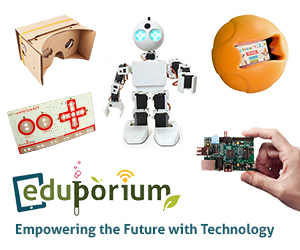 Currently, Eduporium is offering three different types of workshop opportunities. 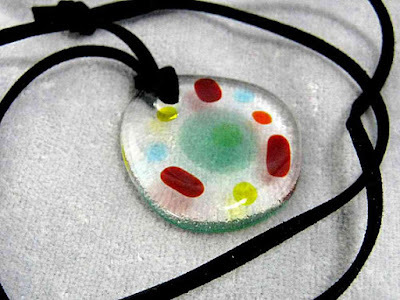 The workshops serve groups of students and their teachers, just teachers, or workshops that highlight how to use different products. These give people a chance to see this technology in practice, similar to the benefits of the Tech Lending Library it allows exploration before committing to purchasing a product before knowing how to incorporate it into learning or whether it will work in a particular setting. 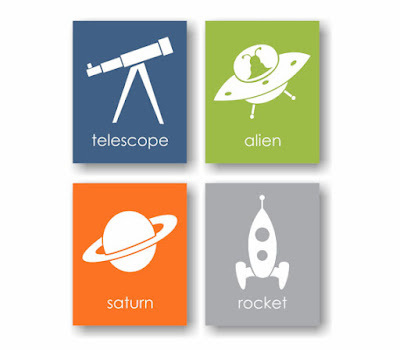 Any school or school district can sign up for their own space on Eduporium's site. These teacher collaboration sites empower teachers within a school or district to work together and share ideas by providing a space to share lesson plans, or ask questions. There is the potential for teachers to post "wish-lists" for upcoming materials that will be required and share them with their students or the communities' users. Schools and districts can set up their own stores where products they are choosing to use can be purchased. On Eduporium's forums teachers and the community can post questions, collaborate ideas and more. As an educator, I find this to be an invaluable resource. None of us are teaching in a bubble, so it is awesome to have a space for collaboration! To take some of the guesswork out of building a school STEAM program or get kids started making, Eduporium offers kits and bundles. Different types of tech are bundled together to create all the supplies needed to explore a certain area, such as circuits, or robotics. 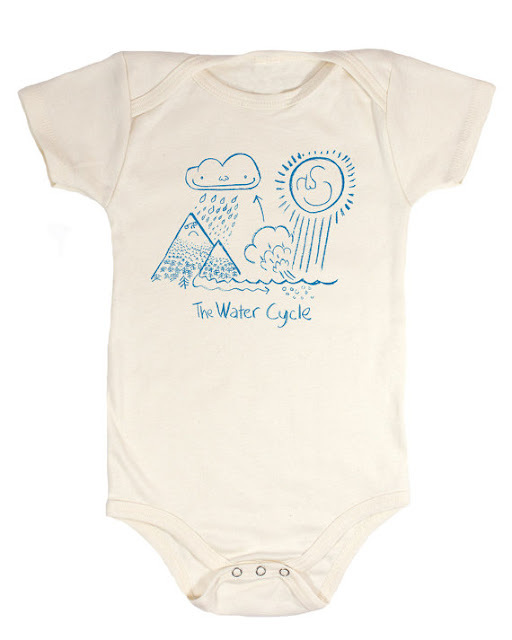 The bundles teach skills that build upon each other and are chosen for age and skill appropriateness. 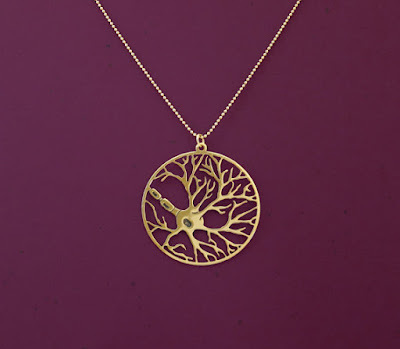 Stay tuned as next week we will feature an interview with Eduporium CEO Rick Fredkin, and another great giveaway! 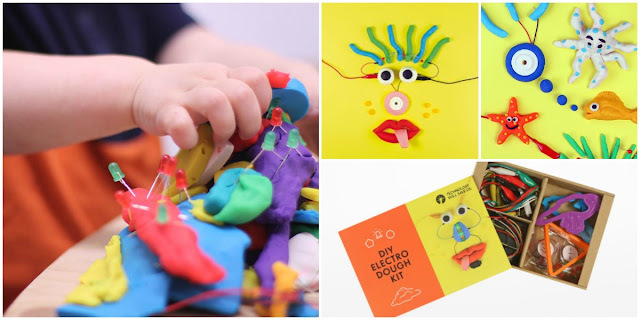 Enter to win a DIY Electro Dough Kit plus a special $50 shop credit at Eduporium.com! 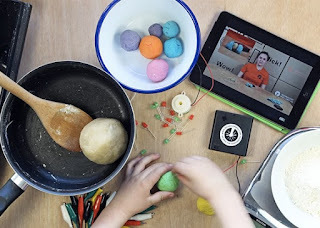 This kit is a super fun way to teach kids about circuits while building and creating their own dough models and figures that light up or make sounds. This giveaway runs from December 1st, 2016 until midnight (EST) December 7th, 2016. You must be a resident of the United States to enter. 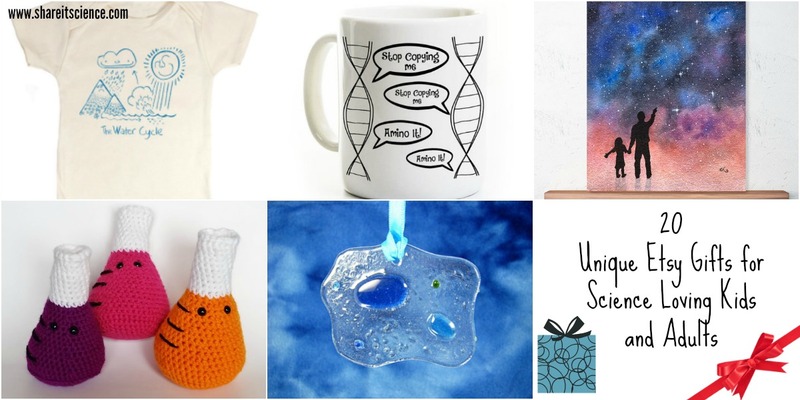 Enter by following the directions in the Rafflecopter box below. The winner will be announced below and across our social media platforms. If you loved the STEAM Kids (Science, Technology, Engineering, Art and Math) book I reviewed earlier this fall, then I'm sure you're excited to find out that the latest from this team of scientists, artists, educators and moms launches today. 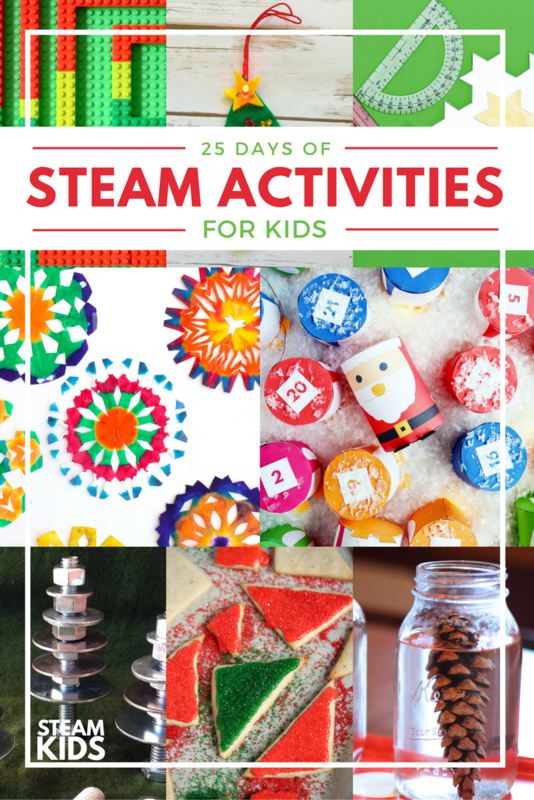 STEAM Kids Christmas features 25 holiday themed STEAM activities. 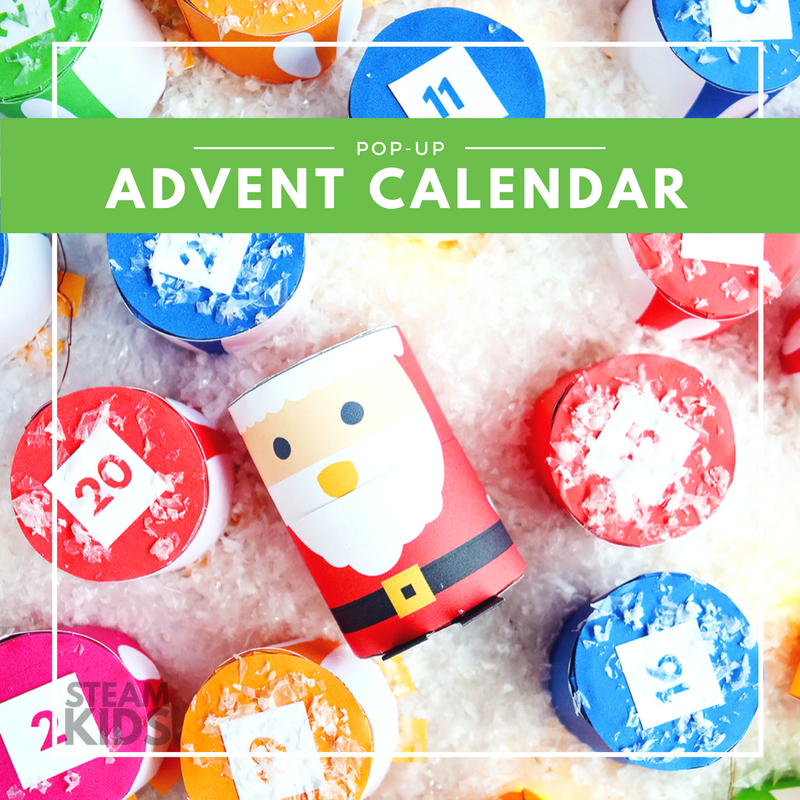 That's right, you could do one activity a day as an advent activity! Just like the original STEAM Kids book, the activities here encourage kids to question like a scientist, design like a technologist, build like an engineer, create like an artist, deduce like a mathematician and play like a kid. I am impressed with how the authors have done just that...again. I was not surprised when the first book was an Amazon best seller within the first week! Click on any image in this post for more information about the book. 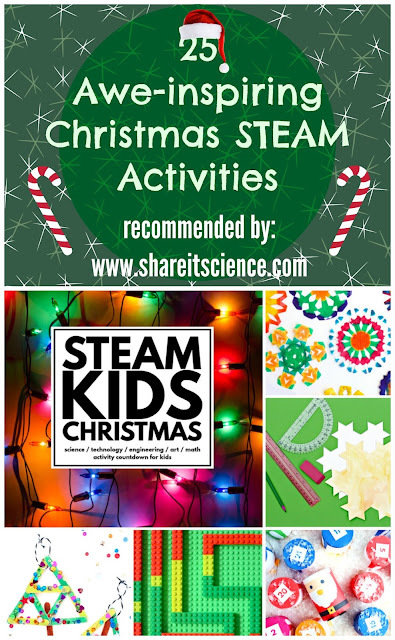 It is not hard to have favorite activities from STEAM Kids Christmas. 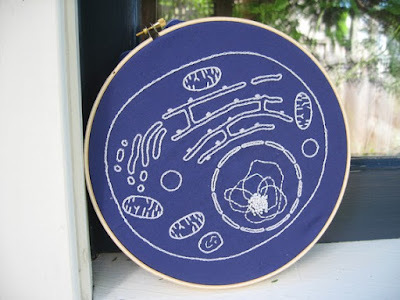 Who wouldn't love combining art, science, etc. with the most wonderful time of the year? I have fond memories of watching a candle carousel spin at my Grandparents house on Christmas Eve. 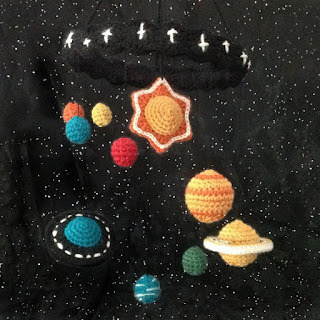 I was very excited to see that a project for building a DIY one is included in the book. There are so many different aspects of this project I never thought of before, engineering, designing, the science of convection currents, etc. There are lots of opportunities for learning. I also adore the 3-D advent calendars. 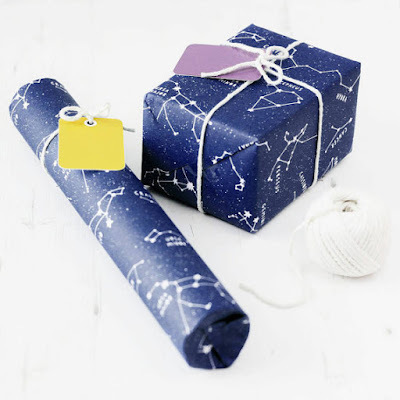 You can choose from a penguin or Santa template to print out and build. Put math and engineering concepts to work to fabricate these little advent boxes, then fill them up with goodies to discover each night until Christmas. 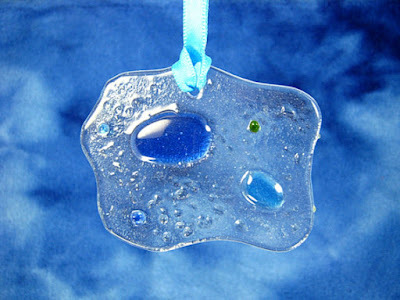 I bet you've never thought to make tangram Christmas cookies before, or create a soft circuit ornament that lights up. I'm looking forward to trying both. I think this book series is great, not only because of the fun activities, but also the fact that it is designed to be user friendly. 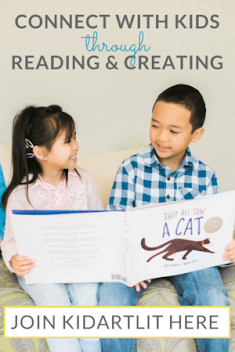 It is a great resource for families, teachers, after school programs or day care. 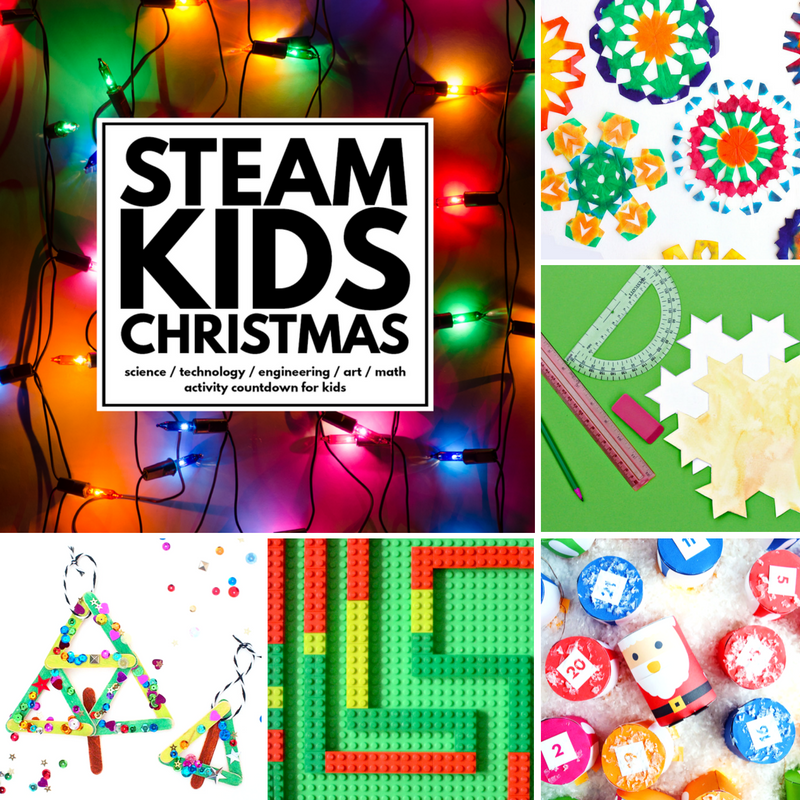 With printable STEAM challenge cards and links to 25 extension projects, there are many more than 25 Christmas activities here. The book also includes weekly activity planners and shopping lists, making it easy to plan a week full of projects. 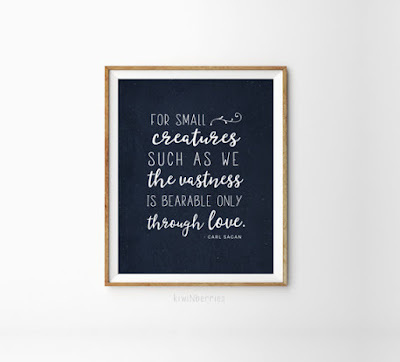 (Great for winter break!) The index is written 2 ways, one is organized by STEAM concept: Science activities, Technology activities, etc. The other is alphabetically. Readers who live in the VAT countries can purchase the e-book here. You can also purchase the book in paperback on Amazon. 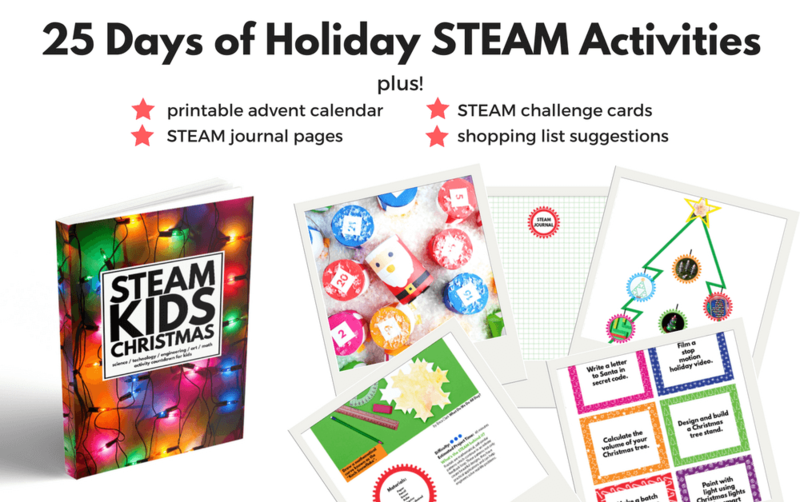 Looking for even more STEAM activities? Check these out. It's time for a big Thanksgiving feast, and you are tasked with cooking the bird. 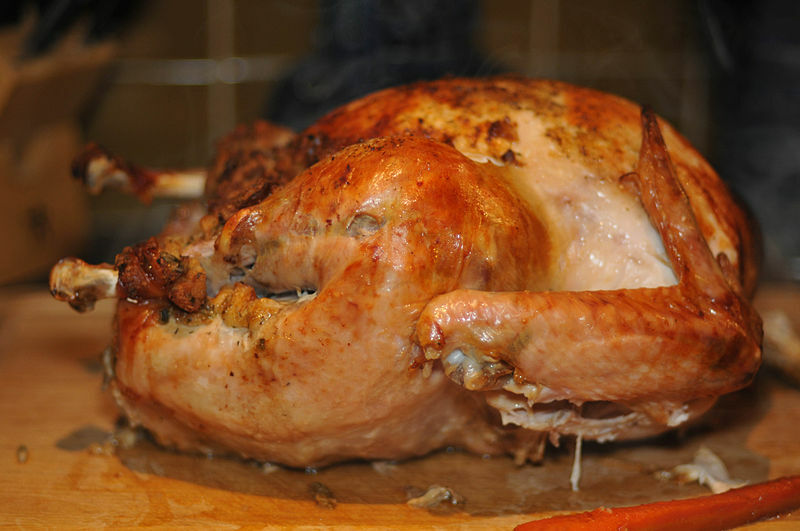 How do you assure your Thanksgiving turkey has been cooked to a safe temperature, but is not overly dry? 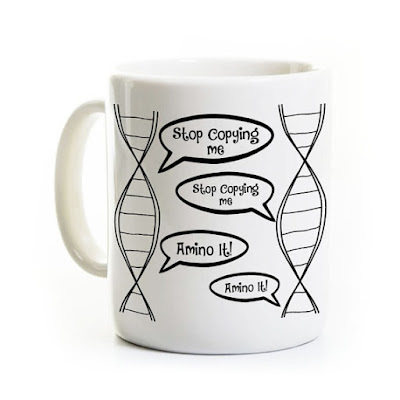 Science to the rescue! 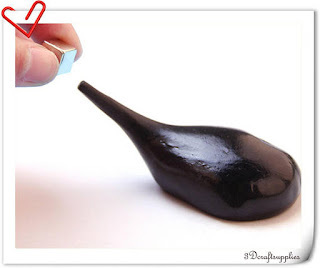 Here is a science investigation that will teach your kids or students about melting point, materials science, and product design. If you've cooked a turkey you've probably seen a pop-up meat timer. 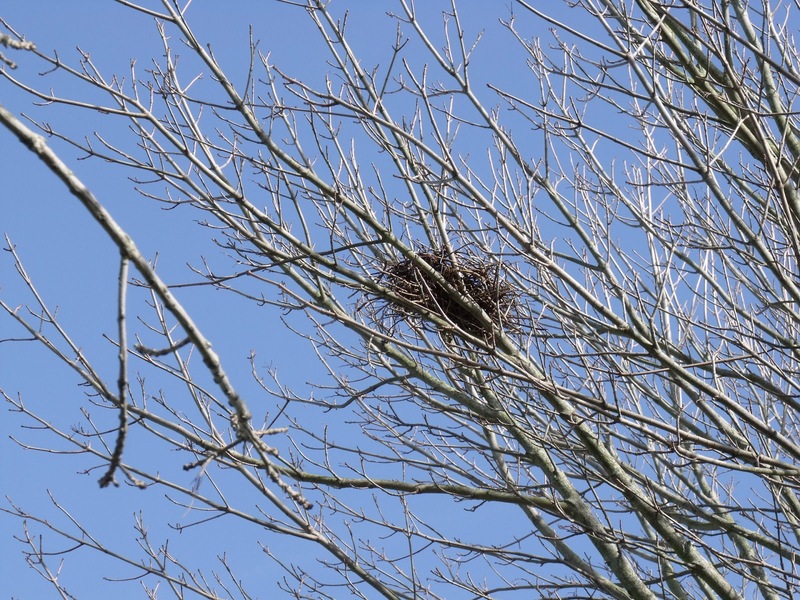 These nifty devices are designed to pop up when the bird is done. But how does it work? 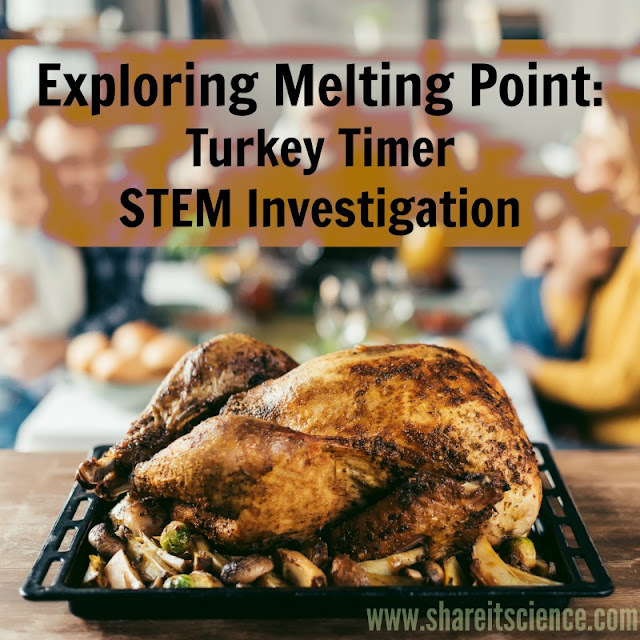 This STEM investigation will answer that question and give the kids something to do while you're busy in the kitchen preparing for the feast. 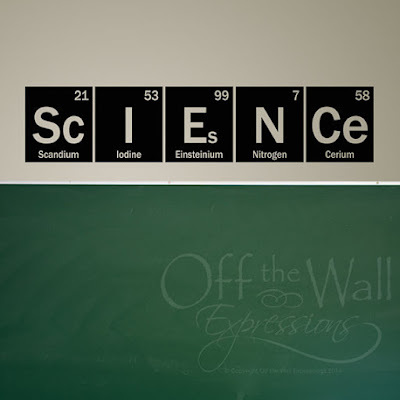 Every element of the periodic table has a melting point and a boiling point. 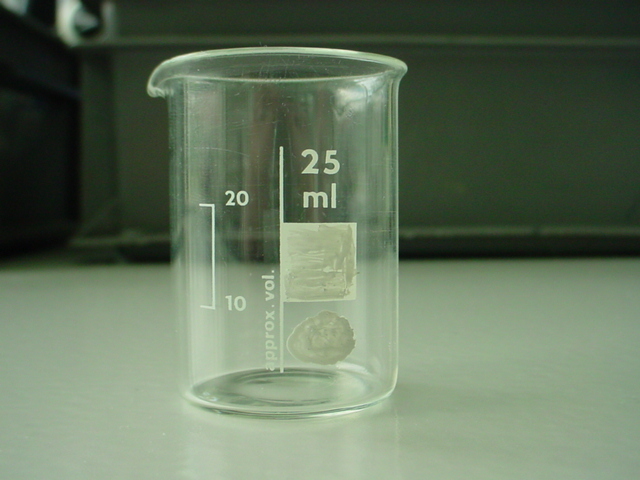 These are the temperatures at which the element melts or boils. When elements are combined they have different melting and boiling points. 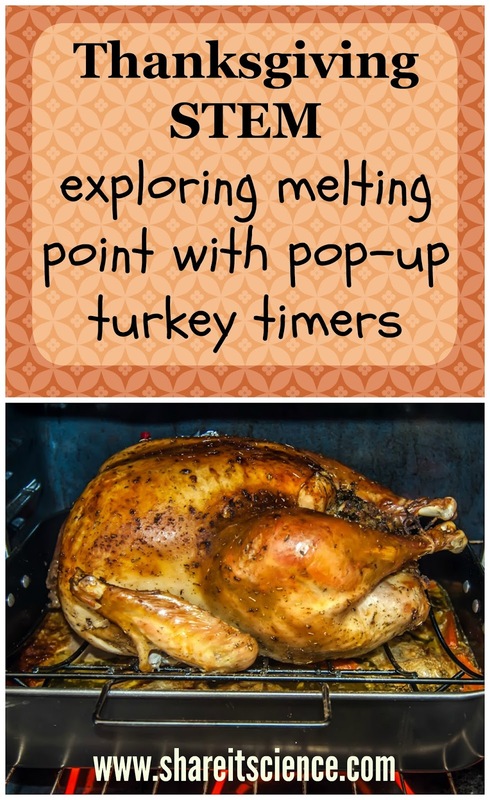 Engineers put these principles to work when designing pop-up turkey timers. Here is the background information, or "spoiler", for this investigation. Depending on how open-ended you would like your student's or children's investigation to be, you can feel free to divulge this at the start, or let them make hypotheses of their own before sharing. 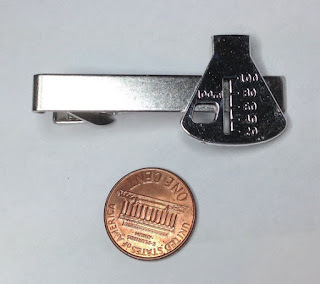 Inside a turkey timer is a thin piece of metal. The metal is a combination, or alloy, of lead, cadmium and bismuth. This alloy melts at a specific temperature, which is the same as a turkey needs to cook to, 180 degrees F, or 83 degrees C. When the piece of metal melts, the "pop-up" part of the timer is released. Using the proper safety precautions, heat some water in a pan or beaker on the stove top or hot plate. Hold the turkey timer under the water with the tongs. Insert the thermometer in the water as well. It's probably best to make this a 2 person procedure. When the red part of the pop-up timer pops, record the temperature of the water. How accurate was the timer? Try it again- to reset the timer, pull it out of the hot water and push down the red part. Allow to return to room temperature. 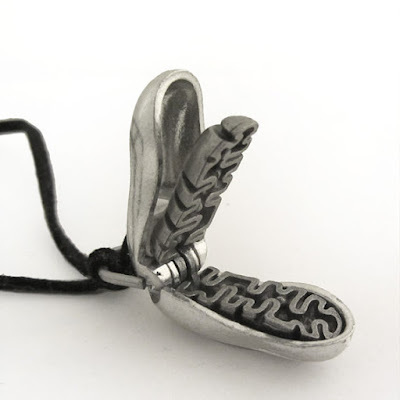 This will solidify the alloy inside once again. To speed up the process, hold the timer closed in ice or ice water. What do you find in subsequent trials? How consistent is the timer? Does it lose its effectiveness when it's been used more than once? Be sure to record all of your results. When you are cooking the bird on Thanksgiving, watch for the timer to pop. When it does, use a meat thermometer to check the temperature near where the timer is inserted into the bird. 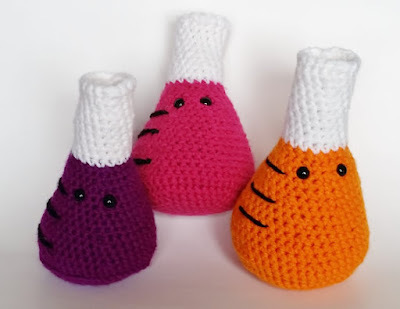 How does this compare to your experiment? Engineer your own pop-up thermometer model with this lesson idea from the National Science Teacher's Association. 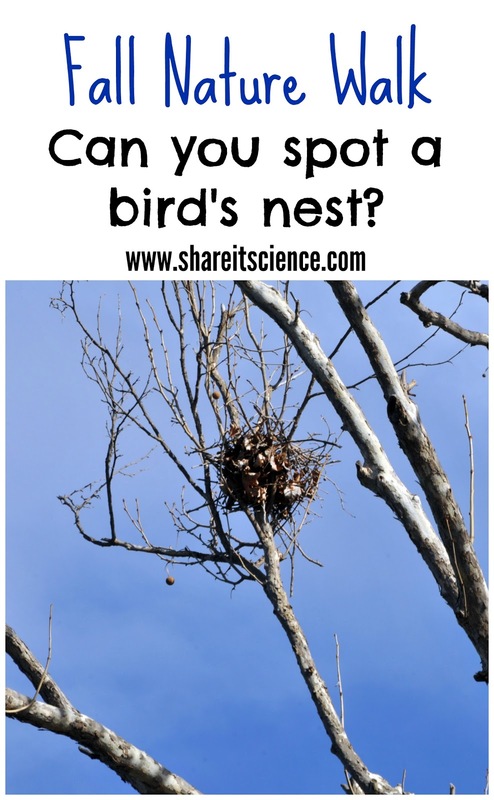 Looking for more Thanksgiving science? 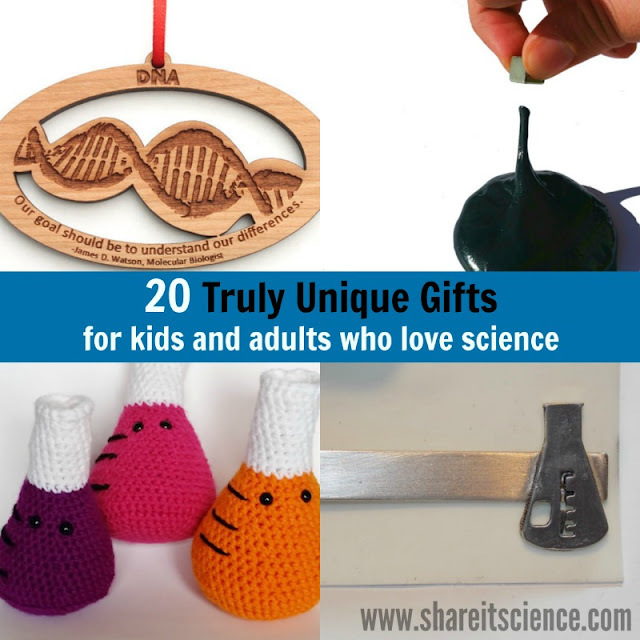 You'll find some cranberry science activities here. 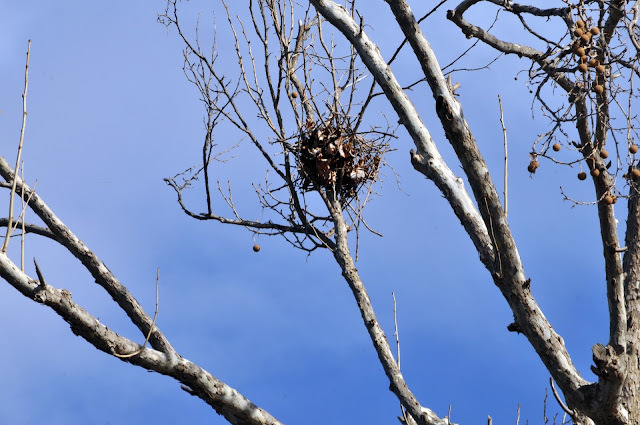 Check out this link if you are curious about turkey genetics. Answer the age-old question: does turkey really make you sleepy?